Spy shots have started surfacing of the new Audi A5 which is set to be launched in 2016. The spy shots have been captured at the Nurburgring in Germany where we expect they are doing some preliminary tests on the model. I’ve always been a fan of Audi so I get pretty excited anytime there are any developments regarding an Audi model, so don’t judge me if you think I’m jumping the gun a bit! But this could be the car for me, I can easily get another few years out of my second hand Audi A3 but by 2016 I would like to think I will be ready for an upgrade, and my sights are very much set on the Audi A5. 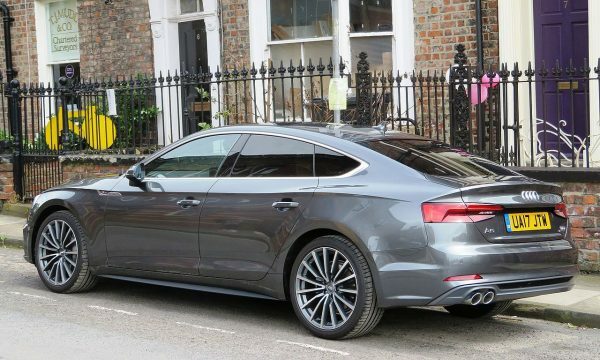 The Audi A5 has been around for about 7 years now but if you were to look at the new Audi A5 next to the first, you would probably be shocked by how little it has change in the 7 years it has been produced. The phrase “If it ain’t broke, don’t fix it” comes to mind. So I imagine there won’t be any major changes to the styling of the car, just a few sneaky tweaks to keep it current, I have read that they will probably give the Audi the new trademark singleframe grille, and larger air intakes to give the car a more aggressive look. But at the end of the day, the A5 isn’t really about its exterior looks, even though it does look great, it’s all about the comfort and executive feeling that the car gives. No doubt the team responsible for cars like the BMW 4 Series and the Volkswagen Passat will be paying close attention to any developments made with the Audi A5 and it will be interesting to see how they respond.